Product prices and availability are accurate as of 2019-04-19 06:30:21 UTC and are subject to change. Any price and availability information displayed on http://www.amazon.com/ at the time of purchase will apply to the purchase of this product. Author Bookstand is proud to offer Live Over It by Bookstand Publishing. 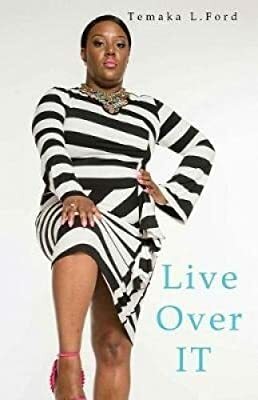 Live Over It has generated a lot of interest and excitement and we think it would be an excellent addition to your library. “Live Over It” shares real life personal struggles that believers go through on their faith walk with God. It will help minister, encouraging words to those desperate for the Lord’s comforting touch. Those that are wandering the wilderness, weary, battling loneliness, broken, in poverty and suffering with identity crisis will find great tools and tips on how to live over what life presents to you. Life will throw you a curve ball out of nowhere and expect you to hit a home run but if you apply the knowledge given, you will live over it with great peace on earth.